When a child is missing, an Amber Alert is issued and the surrounding area, even the nation, goes to work to locate the child and return them safely home to their loved ones. PetAmberAlert.com uses the same advanced technology to help spread the word rapidly about your lost dog, lost cat, or any type of lost pet! With today’s technology you can send a Pet Amber Alert directly into the hands of your Local Pet Agencies, Businesses and Neighbors. They will hear your call for help and will take IMMEDIATE action to help find and reunite you with your lost and found pets! Our Pet Finder system will send poster alerts with photos, descriptions and details to Neighbors, Veterinarians, Animal Shelters, Animal Control, Hospitals, Pet Stores and “Rescue Volunteers” within a 10 to 100 mile radius of where your pet was last seen. Hundreds to thousands of people will receive your LOST PET ALERT and will be on the lookout for your lost dog, lost cat or lost pet. Find Your Missing Dog or Cat Sooner! Our alert system results in an High success rate if the alert goes out within the first two weeks of the pets disappearance. Pet Owners who issue a Pet Amber Alert and carefully follow the steps in our Lost Pet Recovery Guide will safely recover their lost pet approximately 75% of the time. Don’t give up! Lost Pets are even found months after being lost! Step 3: Your Pet is Found! The first step we take in recovering your lost pet is to gather the needed information. We record your name, phone, pet’s name, age, breed, color, the location last seen, photos and any other relevant details. Our caring staff will then analyze your case and create a professionally designed poster. Our easy to remember name and logo are invaluable because they continue to work even when posters are eventually taken down. Since PetAmberAlert.com is easy to remember, pets are often recovered because someone saw the poster and was able to recall the web address. 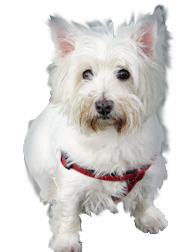 Our lost pet database makes it easy for someone to find and contact you once your pet is located. We will phone alert thousands of your neighbors within minutes using state of the art technology. We also fax and email a custom designed missing pet poster to your local Veterinarian, Animal Shelters, Animal Control, Police Stations, Media Outlets, Pet Stores, and “Neighborhood Watch Volunteers” within a 10 to 70 mile radius of where your pet was last seen. Pet Amber Alert Posters are delivered the same day via FAX to pet agencies and via E-Mail to neighborhood watch members. Recipients are then encouraged to photocopy the posters and to post up at least 10 copies around the local vicinity. Because your poster is seen by hundreds of people in the neighborhood and in pet-related businesses and agencies in your local area, there will be hundreds to thousands of people in the area aware of your pet’s disappearance. And because PetAmberAlert.com is easily remembered, people know where to go to access your contact information and help reunite you with your beloved pet when your pet is sighted or found even when they don’t have a poster right in front of them. PetAmberAlert.com did their dialing and he is now back home, enjoying a can of sardines and high end vet chow. God I’m glad its over. I finally have my cat, Marley, back as of early this morning. Everyone was trying to get him with no success. I set up a live catch trap at a lady's house that saw one of your flyers. Actually she started chasing a piece of paper with you info, called you and got my phone number. At 5AM I got a call that my cat was in the trap. I took him in the trap to the animal ER and his microchip matched. It was dark so I could not see him until he was in the light. I took him to his vet when they opened and he tested negative for any bad things. I came home and plugged in the Christmas Tree this morning. I HAVE MY CHRISTMAS MIRACLE AFTER 4 MONTHS THANKS TO YOU! YOU ARE AWESOME! Bogey was found and turned into the St. Louis Animal Control. They received your fax alert and called me right away. Thank you! Save Precious Time by Amber Alerting Shelters, Vets, Hospitals, and Neighbors Immediately! Lost Dogs can Travel Very Far and Alerting Neighborhoods 15-100 Miles Away is Important. Lost Pets are Stored in our Database and Agencies will Contact us if your pet is Brought in at any Time. Peace of Mind That Everything Possible is Being Done to Help Your Lost Cat Get Back Home. Our Lost Dog Finder Methods have successfully reunited hundreds of lost dogs with their owners! The longer you wait, the farther your lost dog or lost cat will travel and the chances of injury increase! Lost Pet Recovery Guide – FREE! Our Lost Pet Recovery Guide is an extensive step-by-step guide explaining the actions you must take to maximize your pet’s chance of being safely recovered. The Lost Pet Recovery Guide is very easy to follow and includes a lost dog and lost cat checklist! It is also organized by type of pet and broken down into time periods. Pet Owners who issue a Pet Amber Alert and carefully follow the steps in our Lost Pet Recovery Guide will safely recover their lost pet approximately 75% of the time. Our Lost Pet Finder Program is your Pet’s Best Chance of Coming Home Quickly and Safely Today!